Sustainable development and the environment are key aspects of our operations. We have participated in the creation of the current battery recycling system in Finland. All of our products are compliant with the REACH decree, and we take care of recycling all batteries and accumulators supplied by us throughout Finland. According to Finnish legislation, the producer is responsible for collecting and recycling any accumulators and batteries they have put on the market. We take care of collecting and recycling accumulators and batteries with Recser Oy and industrial lead batteries with Akkukierrätys Pb Oy. We are continuously evaluating our business operations with the aim of developing even better products and services to our customers. 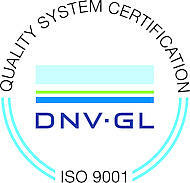 This philosophy has helped Celltech receive the ISO 9001 certification. In addition to our own operations, we make sure that all of our suppliers observe the same principles.